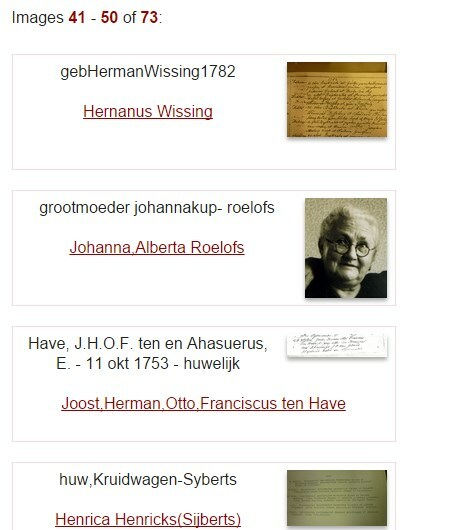 The website Genealogie Online offers many possibilities in terms of publishing your genealogical data and historical images on the Internet. Below is a brief overview of the features and capabilities of Genealogie Online. Each genealogical publication has its own, recognizable Internet address, unique title, and shows consequently the name of the author. The service is aimed at publication of data, making discoveries and making contacts. 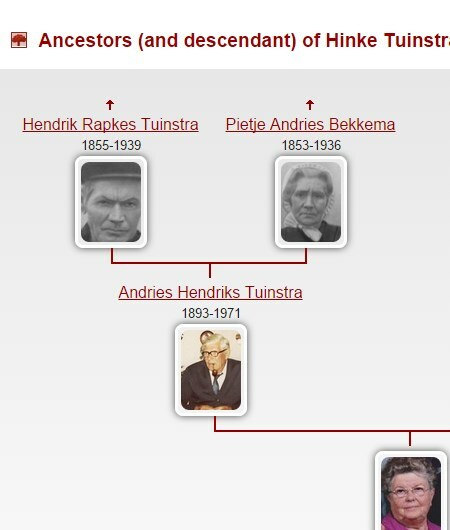 The service is not designed to create and edit online data, there are plenty of good family tree programs. There is a site-wide search feature and there is a search by publication. 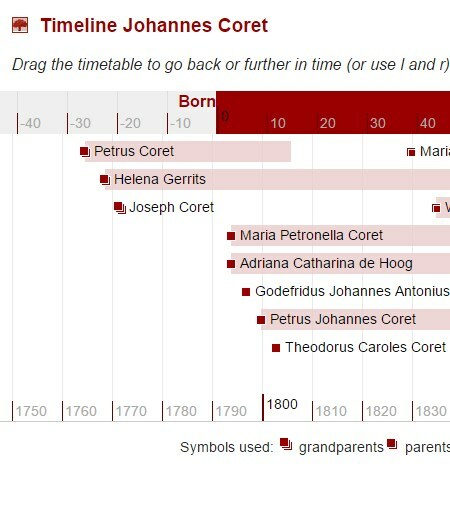 Individuals can be classified as Sosa or progenitor, these people form the starting points of genealogical reports. The reports are available in both HTML and PDF and EPUB and are also available as graphic representation. Data are provided of contextual information to simulate the time. Images can be included in the publication, made visible per person and an image gallery. 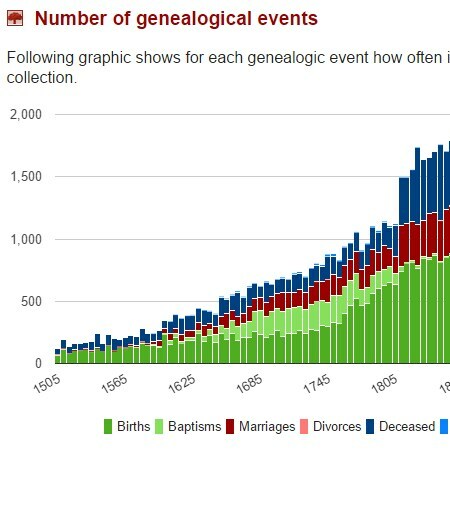 Statistics give a different view of the complete genealogical data set, such as based on geography, events annually and popularity of names. Data of living persons are not published by default, unless permission is given by persons in question, and this is set by the author. Your publication (and people therein) will be reported to Google, the Family Tree Guide and Family Tree Finder so that the data can be found online. 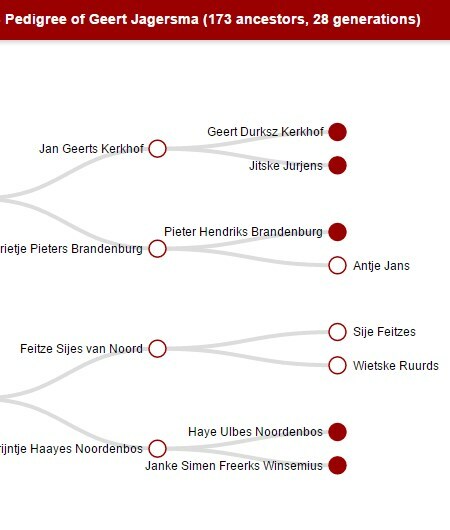 Authors of publication are informed of matches between family trees, so that contact can be made and information can be exchanged. The quality of data is automatically checked, both authors and visitors get to see reports concerning found inconsistencies. The website is available in four languages: Dutch, English, German and French. Place names are checked in geographic databases for uniformity and recognisability. To publish your genealogical data on Genealogie Online, you need no technical knowledge. You're spared from technical details so you can focus completely on the genealogy! Updating your publication can also be done through Dropbox. 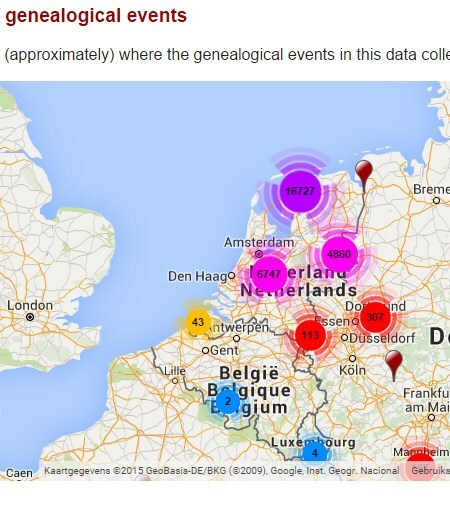 Have you lost your genealogical data? Download the latest version of your uploaded GEDCOM file as a backup. You can limit the access to data and / or images, so these are only visible to people you grant access. You can add stories and documents to your publication. Personalize the appearance of your publication (background) and reports. Suggestions are given for online scans of certificates and photographs of gravestones on the basis of data from your publication. For each publication, the visitor statistics are tracked and displayed. You remain the owner of your genealogical information and images! If you are satisfied with the service of Genealogie Online, you can upgrade your subscription to a Plus subscription or Premium subscription with even more functionality and service! Sign up for the monthly newsletter, so you won't miss anything!